I spent the afternoon today checking out a few different gyms in Palermo. I’ve been missing the gym since I left NYC, so today I finally had a chance to try and use my minimal Spanish and sign up for a six month membership at a gym. I had seen a few in the area, and also read a couple of message board posts on BA Expats and Argentina Private discussing options. I decided to check out Narziso, Always Club and Megatlon Palermo. Megatlon, located in the trendy Alto Palermo mall was by far the nicest of the three, but it was also the most expensive and most pretentious. 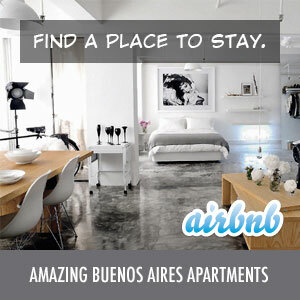 They also have 14 other locations in Buenos Aires. The equipment there was new and better than that in many NYC gyms. They also have a unique system that involves using a USB keychain to tailor a personal workout to you as well as keep track of all your workouts which was pretty cool. In addition to the price, I was also turned off when the guy showing us around said their least busy time was from 6am – 8am and in the afternoon, pretty much implying that they were usually packed. The prices were really high too: six months for AR $1428 plus AR $120 for the key chain. A personal trainer was AR $70 per session. Narziso was the smallest and their equipment appeared to be aging. But, their class schedule was pretty good as were their rates. They also have two locations, one of which has a pool. Their rates were: 1 month: AR $120/month (AR $20 membership card); 3 months: AR $100/month (AR $20 membership card); 6 months: AR $95/month (no card fee); 12 months: AR $90/month (no card fee); Personal Trainer: AR $300 for 1 month – 8 sessions (AR $37.50/session). So, after a week of pizza, eating out, pastries and ice cream, it’s time to settle into the routine and get back into the gym. I just had my medical exam for the gym last night. Yes, gyms here require that you get examined by a doctor as part of your membership. I had a 10 minute appointment where the doctor asked me about my medical history, family health, took my blood pressure, and listened to my heart rate and breathing. I had scheduled the appointment when I joined the gym and could still use the gym before I had the appointment, but it was a requirement for joining. Another thing about the gyms here is that they may actually be closed on Sunday or have drastically reduced hours. This would be unheard of in the States. My gym’s hours are: Mondays to Fridays from 7am – 12am, Saturdays from 9am – 9pm, Sundays from 6pm to 9pm, and holidays from 10am – 1pm and 6pm to 9pm. UPDATE (03.16.09): I went in to renew for another 6 months at Always and they no longer offer that option. I could pay by month for AR $120 per month or pay for a year at AR $880/year (payable in 4 monthly payments of AR $220 each). I took the year option. Personal training had already gone up too: 4 sessions for AR $220, 8 sessions for AR $340, 12 sessions for AR $470, and 16 sessions for AR $540. These sessions must be used within 30 days of purchase.